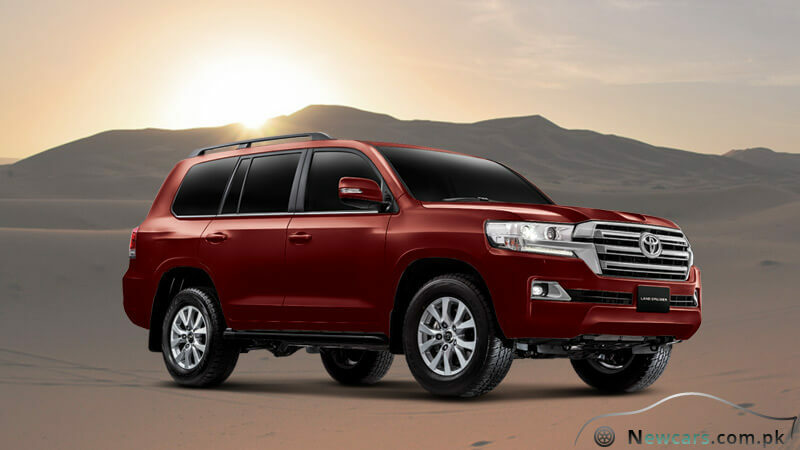 Toyota Land Cruiser has arrived in 2019 with revised looks and upgraded features which justify its huge price. The nameplate has always been associated with immense luxury and prowess. This image is maintained through the vehicle’s new breathtaking version as well. 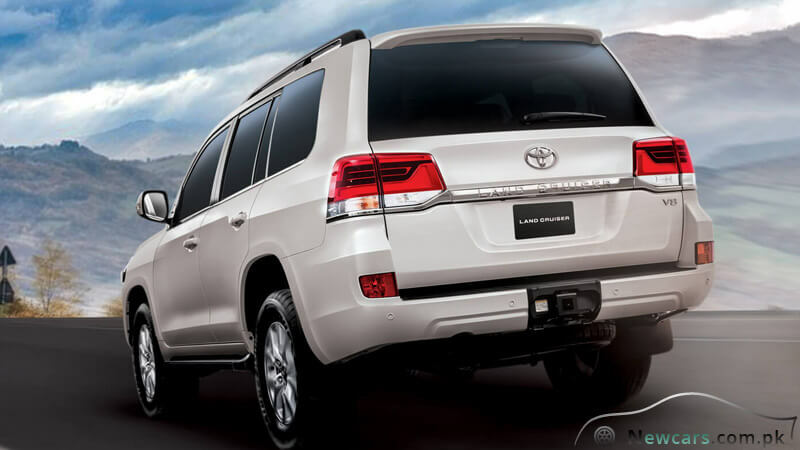 A powerful 5.7 L, V-8 engine is the reason behind the commendable performance of this SUV. It is a DOHC, 32 valves engine having Dual Independent Variable Valve Trimming technology. Intelligence has been incorporated in the new model in the form of i-Force and VVT-i. 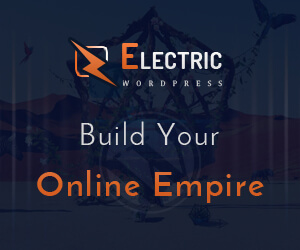 Therefore, you will have the super power along with the best fuel efficiency in 2019. Moreover, the impressive Acoustic Control Induction System helps you optimize the energy coming from the engine for an ultra powerful drive. The vehicle functions exceptionally well giving 13 mpg mileage for city and 18 mpg for highway. A thrust of 381 hp is generated at 5600 rmp. The maximum torque produced is just as impressive, being 401 lb-ft at 3600 rmp. The giant vehicle also has a towing capability and manages to pull 8200 pounds of weight effortlessly. 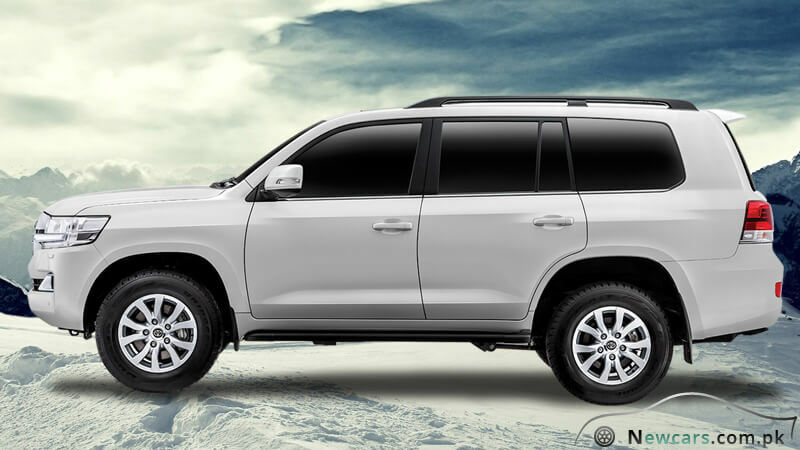 The SUV is just as impressive off-road as it is on the road due to its four wheel drive. Now you can drive more safely by finding out exactly what lies ahead. Keep an eye on your environment through the Multi-terrain Monitor so that you can prepare your next move in anticipation. Moreover, your grip is strengthened on any type of terrain due to an advanced feature called Torsen. It optimizes your traction control and prevents slipping. Whether you are cruising smoothly on the plain high-way or having an adventurous ride off-road, the interior will always give you the feeling of being at complete ease. 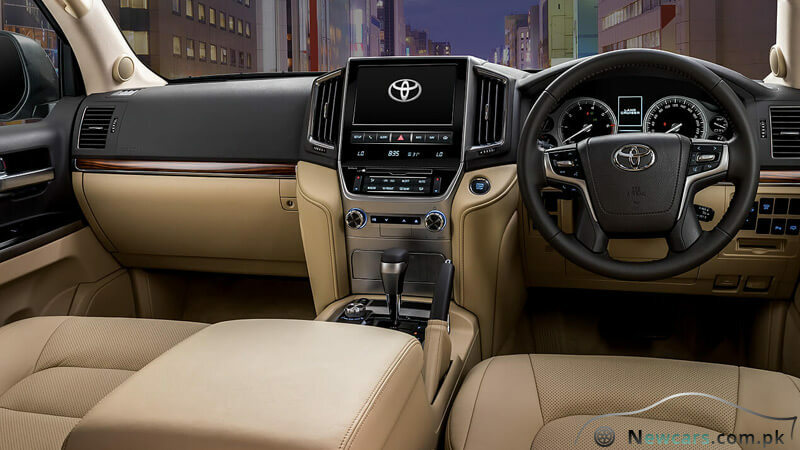 You are reminded of the high Toyota Land Cruiser price through the premium leather seats, advanced temperature control and multi-media which always maintain a high level of luxury. Furthermore, the ventilation and heating system of the seats is another exceptional feature for the utmost comfort. At high or low speeds, the steering is always delightfully responsive. The credit goes to the Variable Gear Ratio Steering technology. So whenever you change the speed, your steering is adjusted automatically to let you have constant control over it. In this way, the steering always feels smooth and never slips out of your grip. Therefore, maneuvering the huge SUV is never difficult. The SUV can take eight people on a thrilling journey. Seats are arranged in three rows with sufficient leg space for the folks sitting at the back. A cooler box in the vehicle takes care of everyone’s beverage. There are also twelve cup holders at six different points in the car to keep your beverage at a more accessible place. 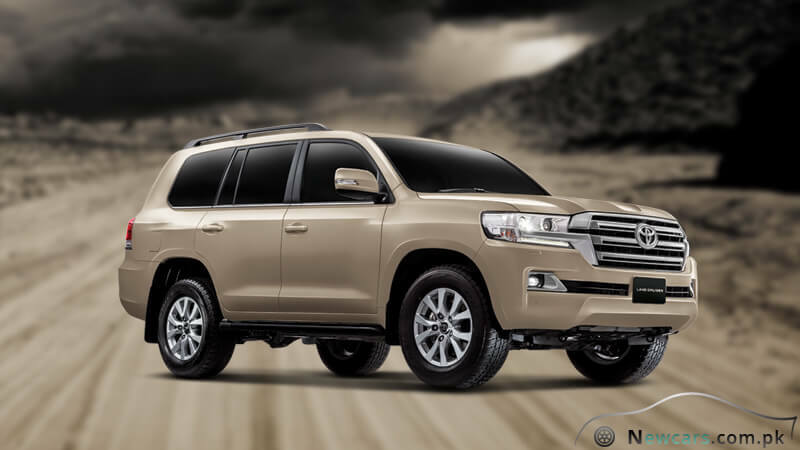 Toyota Land Cruiser 2019 also comes with updated security features by making use of advanced technology. In 2019, six safety measures have been combined to form a Star Safety System. 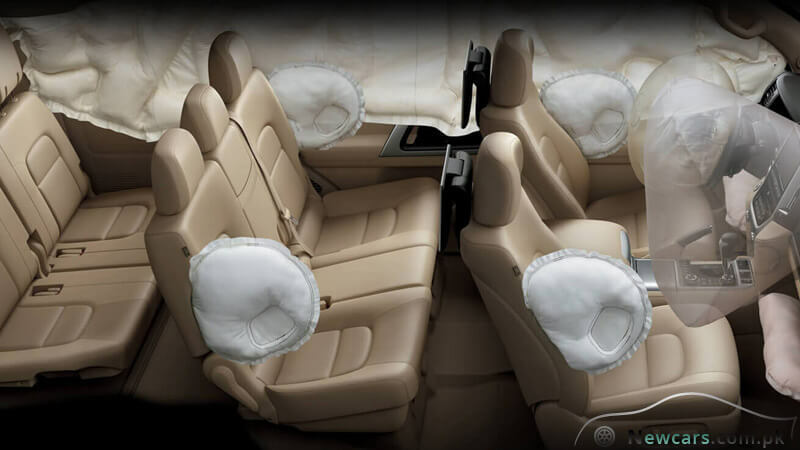 There are also ten airbags to give passengers the maximum support during accidents. The chances of serious injuries are, therefore, minimized. Moreover, a remarkable pre-collision system warns the driver about any nearby vehicles, at the back or front, which may accidently collide with the car. Therefore, you can prepare yourself in order to avoid likely accidents. The SUV has always been remarkable through all of its generations. 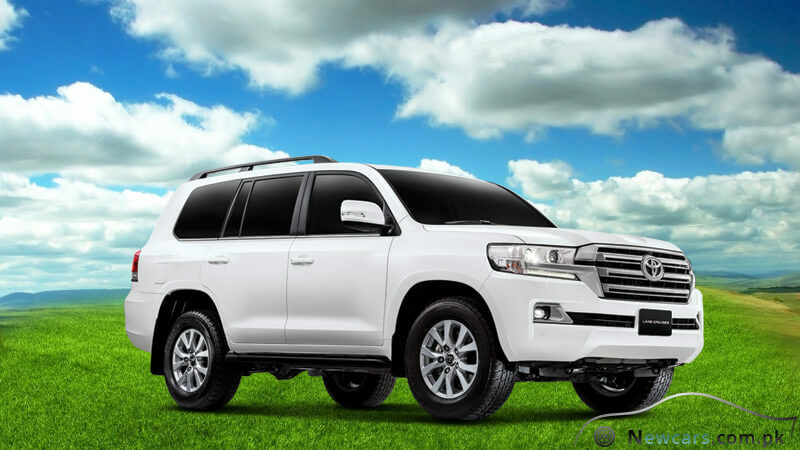 Now giving you even more features than you can ever imagine, there is no wonder Toyota Land Cruiser price is extremely high.